Fold it up in the winter and open it up when the weather warms up, this house moves around on tracks so that it can change shape. How great is that? 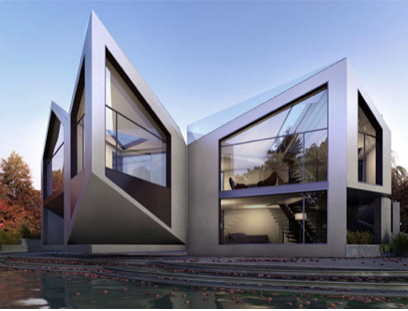 An architecture firm in London, called D*Haus came up with this moveable structure called the D*Dynamic. The definition of dynamic is “characterized by constant change, activity, or progress”. * The D*Dyanmic house can change and be active – unlike most houses which are sedentary once they are built. More importantly, the D*Dynamic building moves for reasons beyond curing boredom. It is an effort to address issues of better energy efficiency. If you live there and you use less energy in the winter to keep warm and open up the windows for light and breezes in the summer and use less air conditioning, it is a win for the planet. 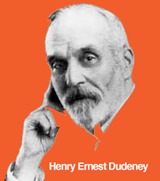 The house was inspired by a puzzle that was created by an Englishman in 1908, named Henry Ernest Dudeney. He loved chess and making puzzles from an early age. He is famous for creating a new kind of puzzle called the crossnumber puzzle (he liked number better than word puzzles) and he also is credited for solving the Haberdasher’s Puzzle. On the right you can see the Haberdasher’s puzzle. It is also called a hinged dissection. As the name indicates, a “hinged dissection is an original geometric shape that is cut up into four pieces that are then assembled and create another shape. Without ever coming apart completely, they appear to stay connected in a hinged way – like a door is hinged to the door frame. Another way to think of it is that all the pieces are connected by a corner, and they form a chain of shapes that can move around to form a different shape. **Info and images from Wikipedia.